She was the first woman in Chicago to receive a pin for 70 years of service to the Girl Scouts. No one had ever served that long in this city. That was two years ago, and Annette Cameron is still going strong with the organization she joined as a teenager. A resident of The Danish Home since August 2018, Annette is a delightful woman brimming with wit, easy laughter and sometimes tears, evoked by crystal-clear memories. She recounts as if it were yesterday the story of how she became involved in the Girl Scouts, which was the day she agreed to assist a troop leader on a trip to the zoo. Upon arrival, Annette insisted to the doubting leader that five of the 25 children taken on public transportation were missing. Racing back to recover the children (“They were crying; I was crying,” she said), Annette resolved to start her own troop. Throughout 72 years of service to the Girl Scouts, “Auntie Net,” as she is affectionately known, has filled just about every role: leader, finance chair, cookie sales manager, secretary, treasurer, delegate, board member, district newsletter editor (“We were covered in ink from the mimeograph!” she recounts). While she is unable to get to meetings as often as she once did, she is still taking on cookie sales, crafts, and activities. But it’s her passion for the children that has kept her entrenched for so long. “We really had a lot of fun,” she said of the many trips and outings the troops enjoyed. Traveling to such places as Savannah, GA, New York, Washington, D.C., Colorado, Expo ’67 in Montreal, and on countless campouts, Annette formed a bond with the youngsters that still exists today. “Some of them are in their 70s and 80s now!” In fact, she and three of her former scouts get together monthly. The women have visited her at The Danish Home three times and taken her out twice already. “We have stayed in touch all these years; they’re still my ‘kids’,” said Annette. Widowed in 2011, Annette came to The Danish Home on the advice of her daughter, who was also one of her scouts. “Beverly was in my troop the whole way through; she said I picked on her!” quipped Annette, who’d just had a friendly phone conversation with her only child. The two looked at several senior communities, but when someone from Annette’s church told her “not to forget The Danish Home,” they paid a visit. 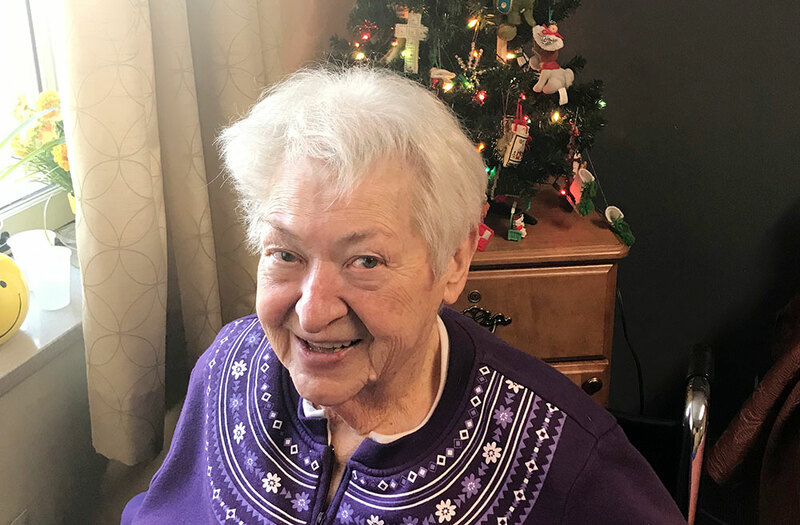 She is also contributing to The Danish Home’s activity calendar, as she arranged for her troop, number 606, to sing Christmas carols and play bingo with residents.